These super high-quality grips will give you a distinctive edge on your next trip the range. 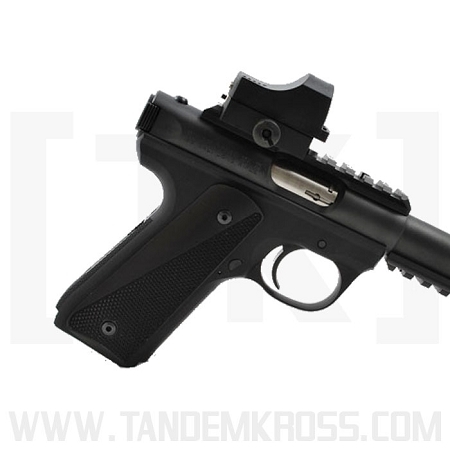 With highly aggressive checkering, your ability to control the pistol between shots will be greatly increased. Made from 100% aluminum and precision cut, these grips will seat perfectly in any Ruger® MKIII™ 22/45™ with removable panels. 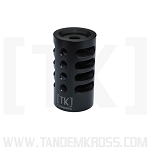 Get your edge today with the TANDEMKROSS MKIII™ 22/45™ "SuperGrips"! First off, they just look cool. Just looking at them it’s really hard to imagine a better CNC machining job, especially with regards to the texturing. They provide just enough “bite” without hurting the hands. This should translate to a secure, fundamental shooting grip even in the heat. I shoot mainly in the desert, and I doubt that even with hand sweat that these would slide around at all. I’m definitely more impressed with them in person than just by the pictures I’ve seen online. Maybe you guys should make a YouTube video of them and show them up close. I really just don’t think that people know how well-made these are. I also really like the diagonal design that you guys chose. It still provides the texture but adds a little class to it to make the gun stand out a bit (that’s the whole purpose of grips right?!?!). Man, these things just look and feel so much more durable than the novelty plastic and wooden grips sold online. The great thing about having them being made of aluminum is that they are light but yet more resistant to potentially harmful chemicals that could eventually ruin wooden grips over time. Overall, I think they are an excellent addition to your products, especially in the three neutral colors that you offer.. 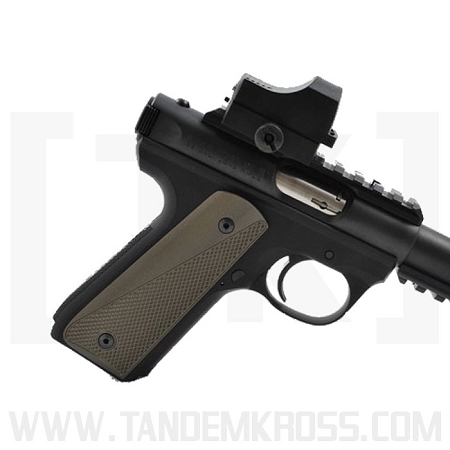 THESE GRIPS FIT PERFECT AND LOOK COOL ON MY RUGER 22/44 LITE. ALSO HAVE A GREAT FEEL. 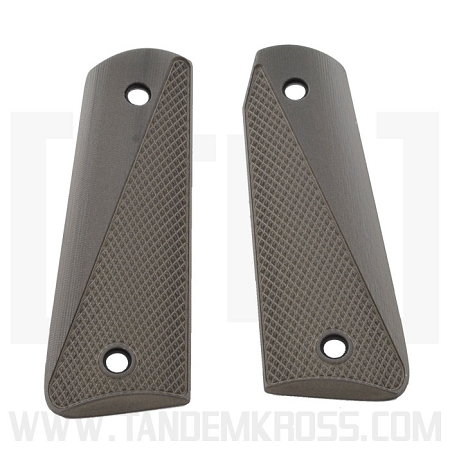 These grips are very well made with very aggressive , but not to abrasive pattern cut in the very thin aluminum panels. 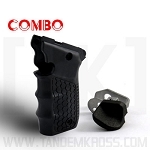 The fit and finish is top notch and they look great on our pistol!!!!! 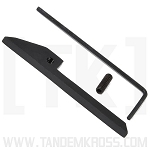 I would recommend the TK super grips for any application . I know these are a tad on the expensive side as far as grips go, but these are truly a quality product. 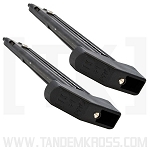 They are light, thin, and very well-machined. The texture is very aggressive without being painful. I believe they are the perfect addition for any serious steel challenge shooter. As an added bonus, to my very pleasant surprise, they also fit over the Rim Edge magwell without modification! Would purchase again in a heartbeat! I would include a pic, but can't upload for a review. 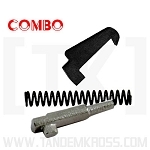 These grips are like the other Tandemkross products that I have used with great success. Excellent made in America built to last. 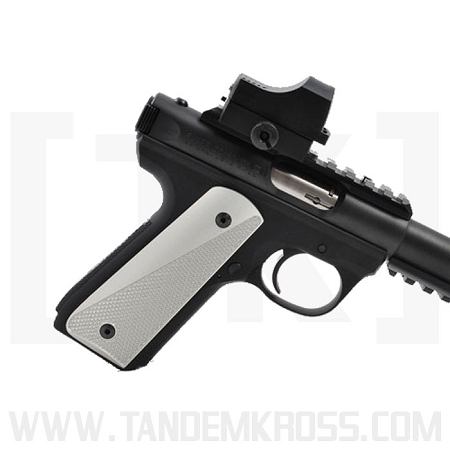 The grips are just perfect for the Ruger 22/45. 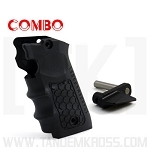 They are not too big and not to small, they give you a good purchase on your firearm. Just another excellent from an ezcellent company.